fastjet, Africa’s low-cost airline, took delivery of its first owned aircraft on 25 September 2015. The intent to purchase this aircraft, the sixth aircraft in the fastjet fleet, was announced on 26 August 2015 and the agreement was signed on 23 September 2015. 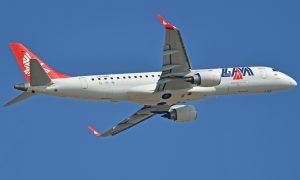 The aircraft, an Airbus A319 (Manufacturer’s Serial number 2891), was purchased from an entity managed by BBAM US LP (BBAM), a leader in commercial aircraft leasing, financing and management, headquartered in San Francisco, CA. The market value of the aircraft is approximately USD15.5m The aircraft was purchased at a discount to the market value with the consideration being satisfied in cash. 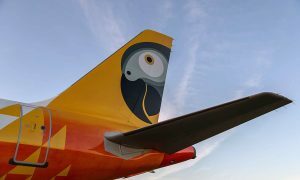 The Company stated an intention to create a mixed fleet of leased and purchased aircraft at the time of the fundraising in April 2015. fastjet was advised by SkyWorks Leasing in the purchase of this aircraft.